My name is Eartha Love Varda and I am passionate about rewilding land and people, Earth connection, mentoring, dreaming and dancing. I have travelled the Earth widely learning about Native ways and shamanism. I now live a nomadic life on the road with my family. I created the Becoming Native Project to help people explore, deepen and understand their connectedness to the Earth and the Cosmos and how to live this with authenticity. Rewilding ourselves is a journey, a coming home to our Natural Self. I seek to bring ways of seeing, knowing, connecting and merging with the natural world to others. The becoming native project holds children ‘s sacred space and earth awareness workshops…through ceremony, stories, games, songs, crafts and nature connection activities we help children keep their sense of belonging to the earth and connection to the land.. drawing on ancient native ways but creating new pathways… so a new culture born of the land may flourish…exploring what it means to ‘become native’ again to this land .. a new native for a new earth. I am a trustee of the Live Earth Trust which puts the Earth at the centre and works to plant the seeds of new cultural patterns in communities .The charity has created the Sacred Land Scheme which buys land and gives it back to the Earth mother. We are in the process of rewilding the first sacred land, and call them Earthearts. I co-created and am still developing the Native Learning Wheel which I use at home with our daughters. My deepening path has now brought me to the understanding of the need to be with our daughters as they journey to womanhood and to create lodges for them. Weaving a bundle of teachings, ceremonies, stories, drum journeys and meditations; i bring Becoming Native to girls and also to the women. Hi my name is Hannah Gwawr and i am sister to Eartha Varda. In this lifetime we are twins and have a strong path and journey together. Our dance on this beautiful Earth Mother is very connected to the land and the love of the wild, our wild natures as well as the beauty of wilderness. We are deeply committed to the restoration of the Earth and humanities soul connection to her ecosystem. Human beings are part of the global ecosystem but we have been separated from this truth. The indigenous people know this. We are all indigenous people and many of us are finding our way home, creating new but ancient pathways of beauty, love and connection. I am a Treesister and a trustee of the live Earth Trust. Both these charities are actively working towards the vision of re-connection. 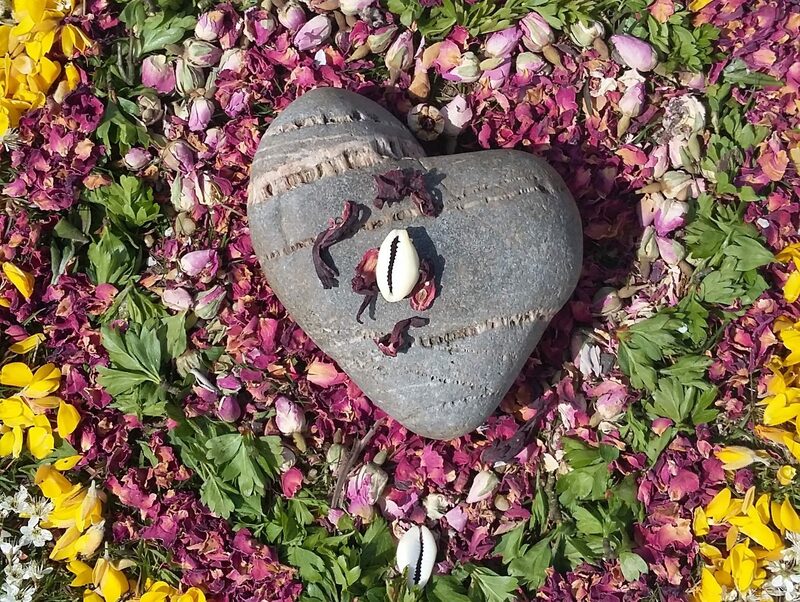 After a deep journey of healing and retrieval of my natural self within shamanic traditions i have now for the last 17 years been working with women to assist the rise of the divine feminine and the re awakening of women and the deep truth of our connection to nature. This has led ,with the parallel path of home educating my own tribe as a massive inspiration and teaching, it has led me to work with the next generations in sacred space. Working with children and the wisdom that comes from watching their natural wonder and understanding of the natural world has been a joy, enhancing this natural connection with nature games, native medicine stories and simple ceremonies with drumming and journeying is all that is needed to regenerate culture, this has now led on to working with girls to assist their them as they grow and become who they really are. I have created the Changing woman mandala and colouring book. These are developing into beautiful teaching resources to help women and girls develop a deep understanding of womb wisdom and our connection to the natural world. We would love you to contact us……if you would like to talk about girls or holding a girls lodge/circle yourself and need some help, please get in touch. As we are a travelling family, i would consider coming to your community and helping you be with girls, start a circle, or i could come and hold some workshops and circles myself with your daughters. I am always willing to collaborate with any projects you have in mind or are already running for girls. It is time for gathering to collaborate and share. knowledge and wisdom.